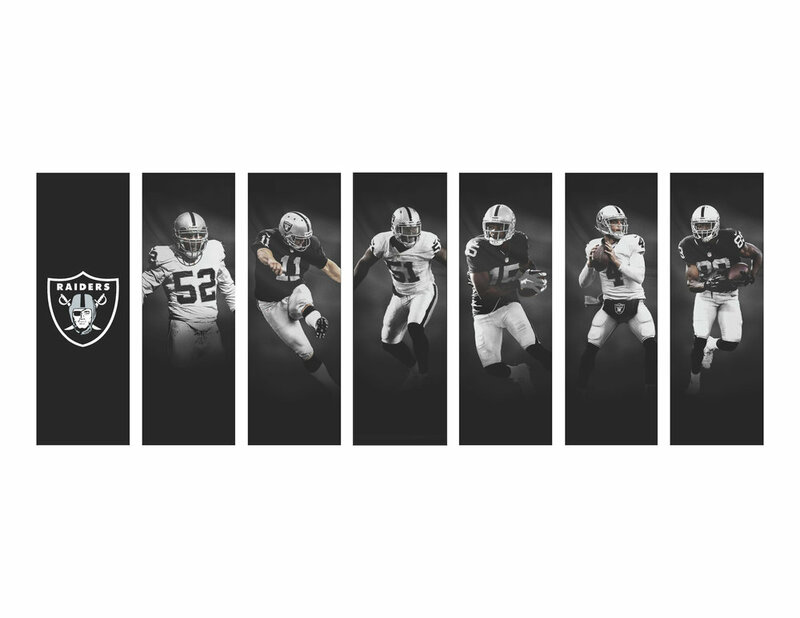 The Oakland Raiders are one of the most storied NFL franchises. Founded in 1960, they are 3 time Super Bowl champions and currently trending upwards after missing the playoffs every year since 2002, the last time they played in the Super Bowl. I was brought in to help support the creative team in consolidating the brand into a more cohesive look and feel. 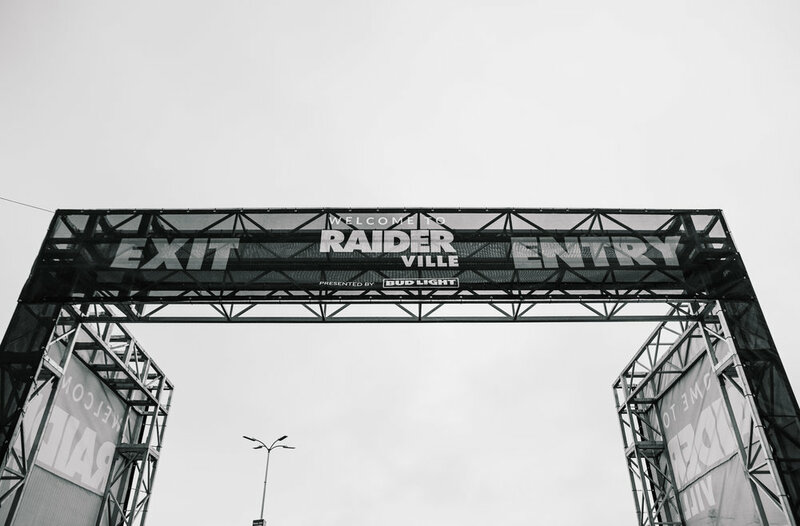 Projects worked on while at the Raiders include signage, social media, and a multitude of both web and print assets. Each week a number of different social media assets were created across multiple platforms to promote the upcoming weeks game. A hashtag graphic was created on Wednesday of each week to start building hype for the upcoming game, which was followed up by Silver & Black Throwback Thursday graphics, which included great moments in history against the upcoming opponent. The throwback graphics also included a motion or video graphic that was created each week to add more engagement. Friday graphics involved a motion graphic depicting video scenes embedded within a player of our choice to depict where the game was being played and plays by the individual pictured. Below are a few examples created for the Thursday graphics. The motion graphics were created by cutting apart the elements of a flat image before putting them into 3D space through After Effects and animating the image. 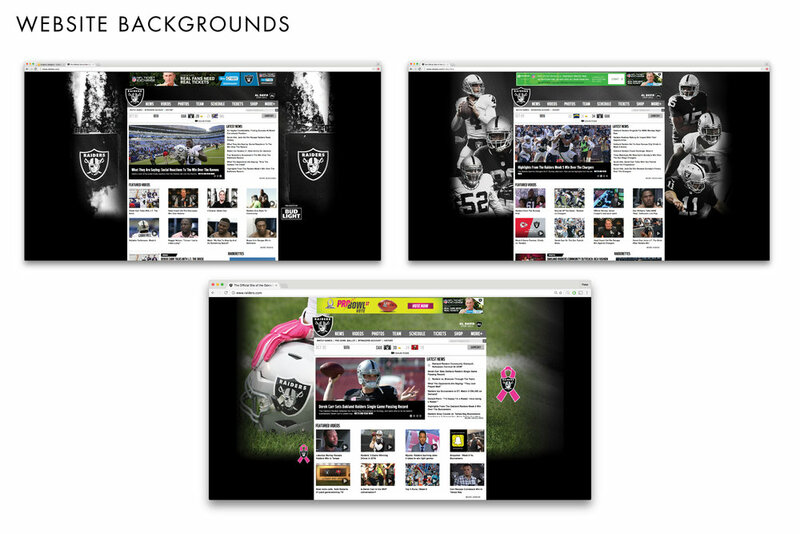 The result was a more engaging graphic than the standard flat image, creating a noticeable increase in viewer traffic towards the Raiders social media pages. Below are a few examples posted to the Raiders instagram page to help promote the game going into the weekend. 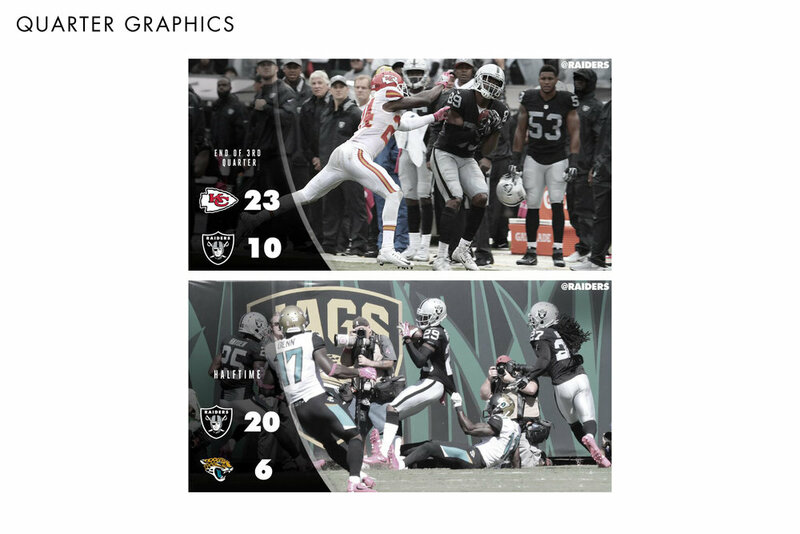 During each home game, live updated scoring drive and quarter graphics had to be created to send out through the Raiders social media accounts. Post game infographics and sponsor graphics were also created and delivered to the social media team before leaving the stadium after each game based upon the players that had performed the best throughout the day. For the upcoming season, a large amount of stadium signage had aged to a point where it needed to be replaced. 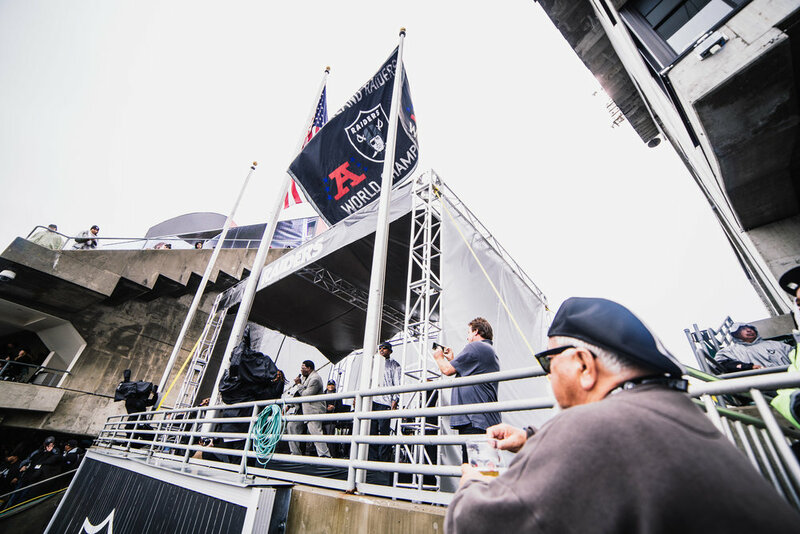 This included signage both in the stadium concourse and on the stadium outside, including all new team store signage, the Raiderville tailgate area, light box signage around the stadium, and the stadium entrance from the public transit side. Below are a variety of print and web assets created for multiple departments across the organization that were supported by the creative department.